A full page ad in Monday's Washington Post quotes former top U.S. military officials opposing an attack on Iran. But Israel’s conservative government wants an attack, ...and President Obama's speech at the AIPAC conference on Sunday was highly praised by Israeli Prime Minister Benjamin Netanyahu. AIPAC is the powerful "Israel-right-or-wrong" lobby and it is backing Senate legislation (authored by Lindsay Graham and Joe Leiberman) that seeks to require an attack. Meanwhile, President Obama wants to increase to $3.1 billion the weapons that you and I buy for Israel next year, while continuing to protect Israel from accountability at the United Nations or elsewhere. Tell Congress and the President to avoid another war, and to do so right now. 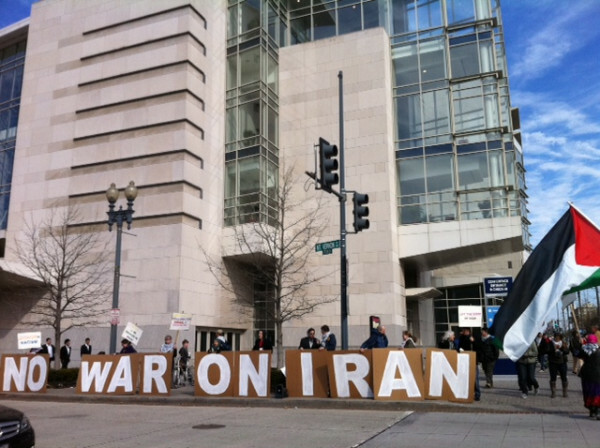 A military attack on Iran would be disatrous for Iranians, Israelis, the region and the world -- perhaps even worse than the Iraq invasion. This time, unlike a decade ago, let's heed informed voices of restraint (like the signers of the Post ad) and not the frenzied voices of war.